1. Ahenny. 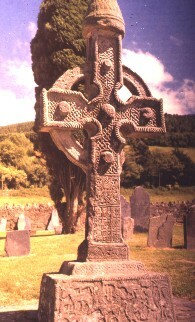 North Cross. East Face. Detail Description of Base of North Cross East Face. God creates the birds and the beasts OR Adam names the animals. God creates the birds and the beasts OR Adam names the animals. Old Testament scene from Genesis. Lucas, A.T., Treasures of Ireland. Irish Pagan and Early Christian Art 1st, , Dublin (1973) v.